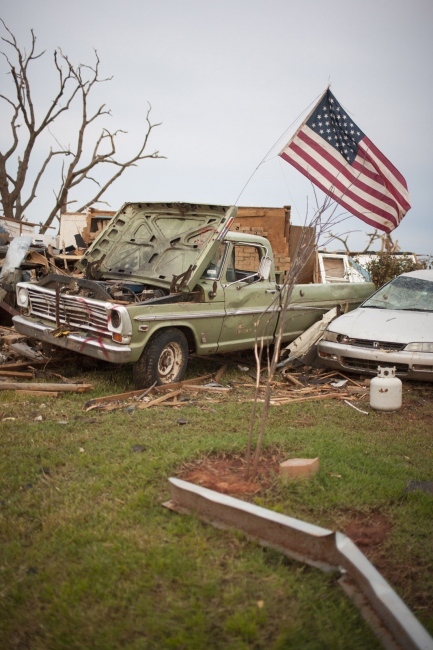 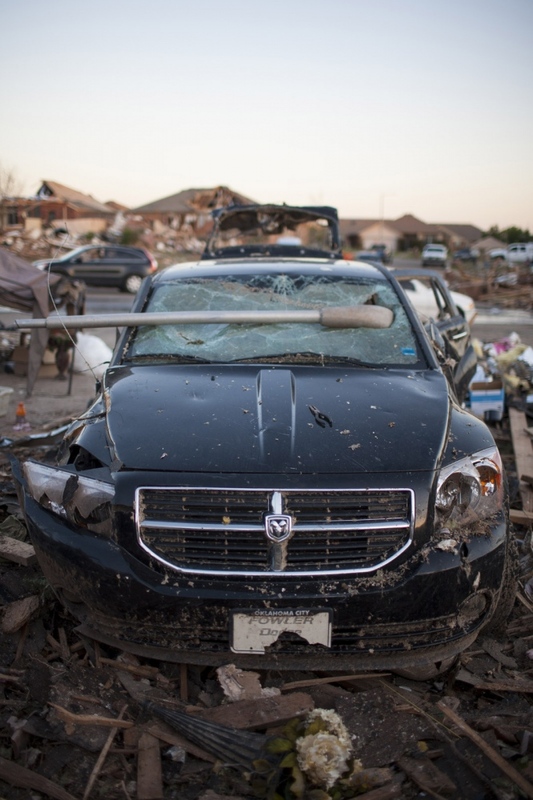 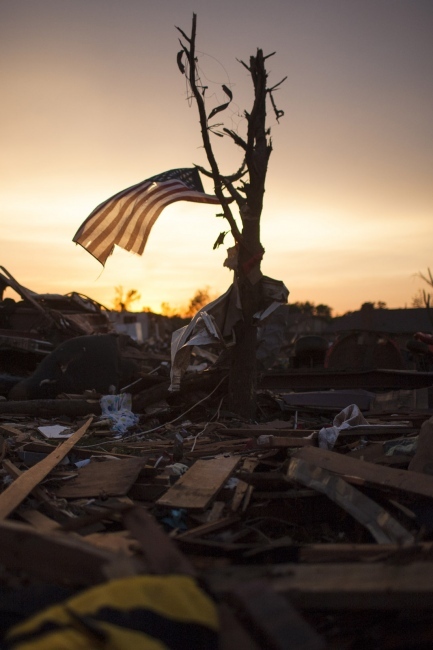 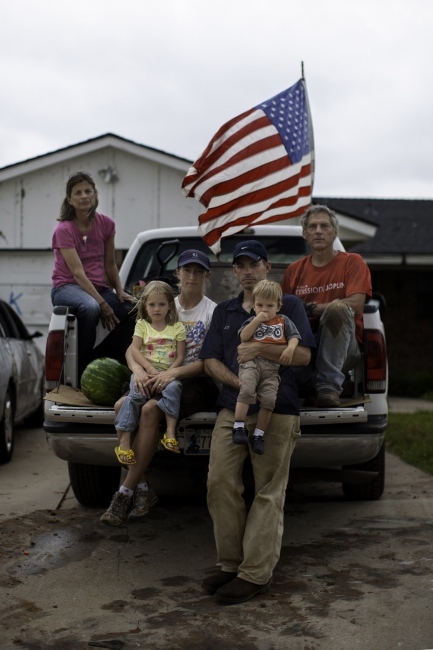 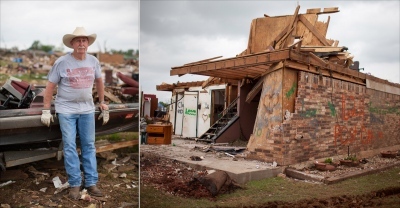 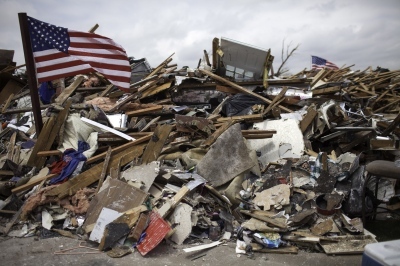 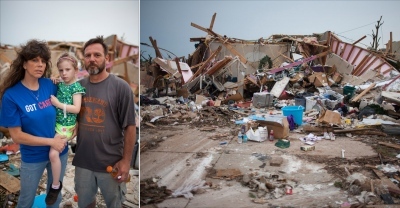 On May 20, 2013, a tornado ripped through the town of Moore, Okla. Many of the residents from the Heatherwood subdivision in Moore watched the destruction of their homes on television while at work. 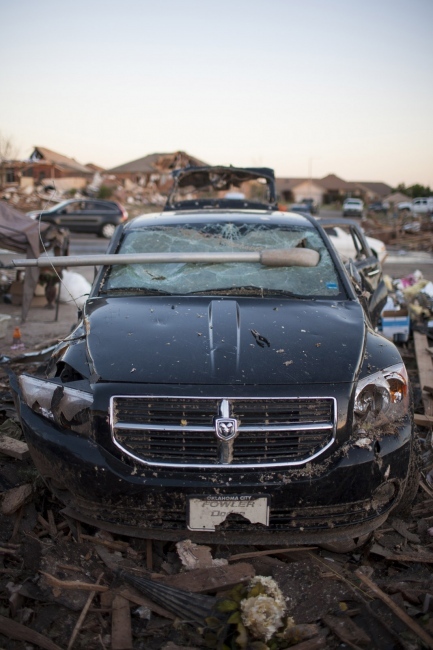 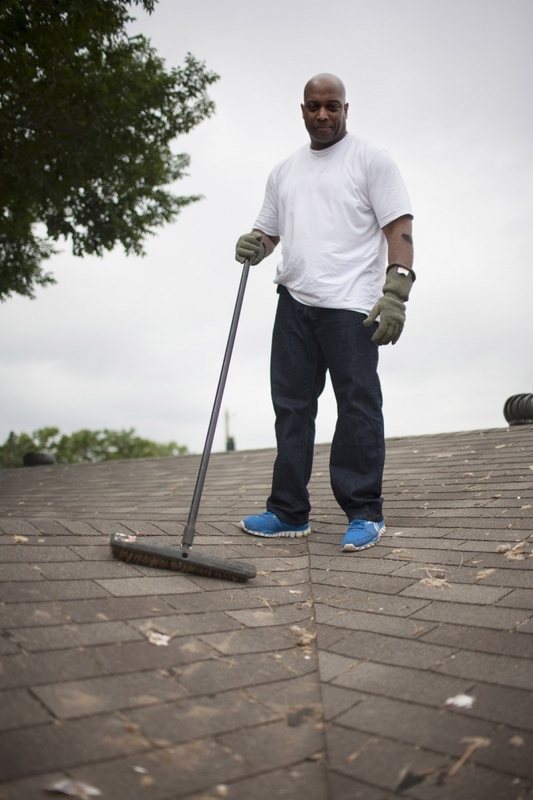 Those who were at home sought refuge in neighbor's storm shelters. 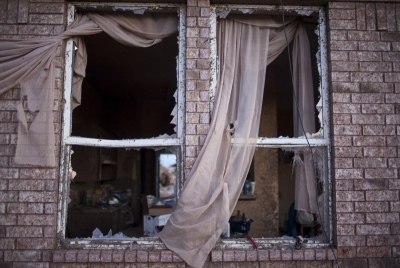 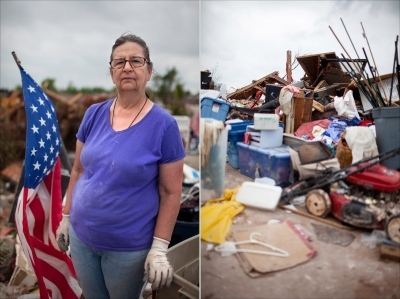 When they emerged after the storm, residents saw that their houses were now unrecognizable piles of wood, metal and debri. 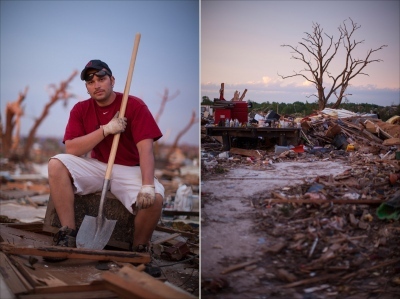 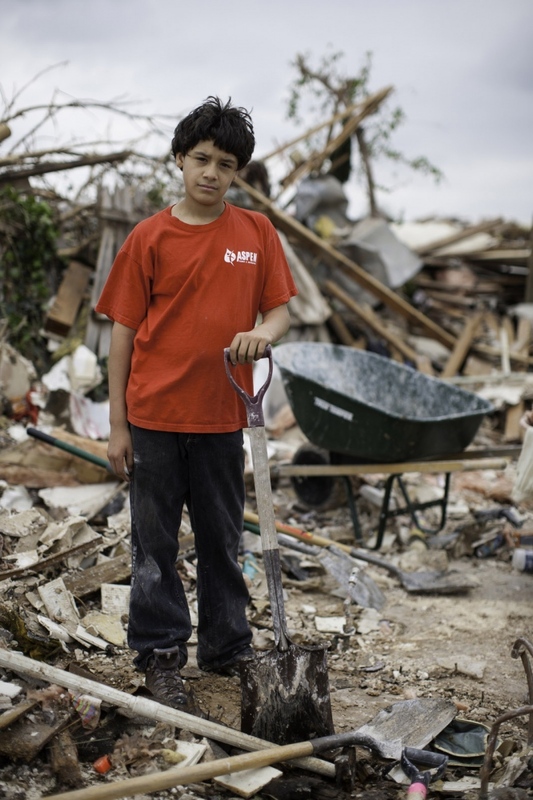 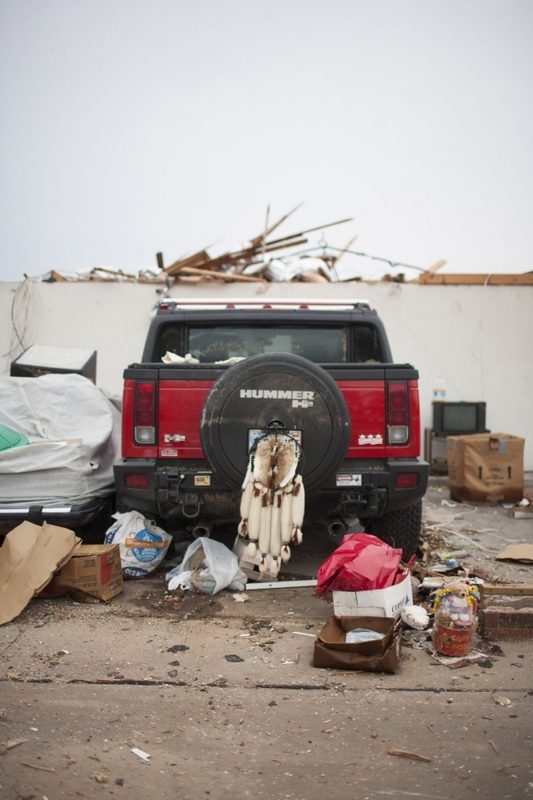 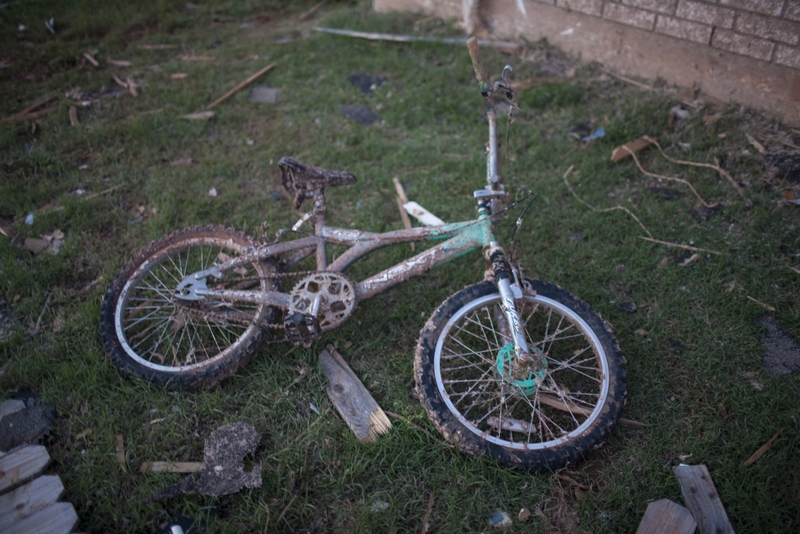 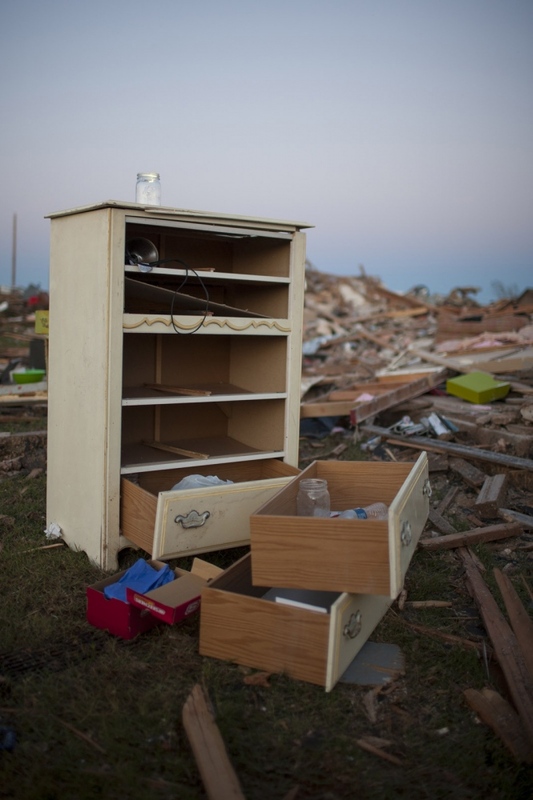 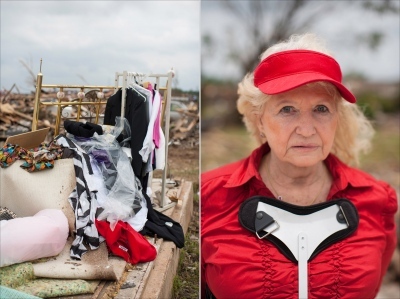 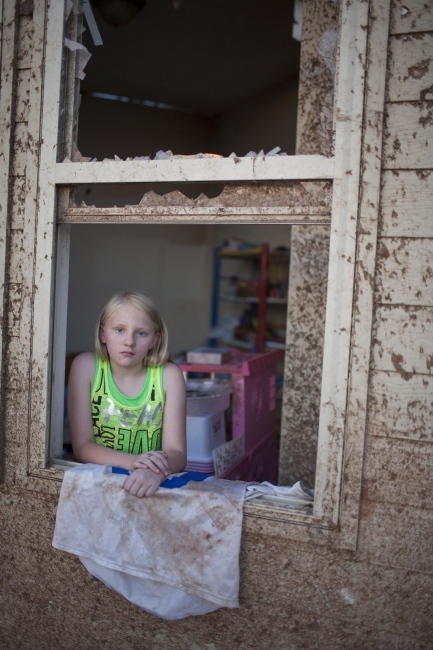 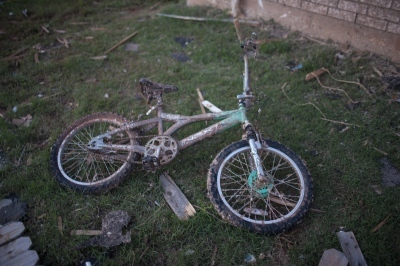 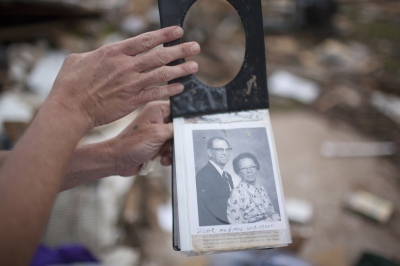 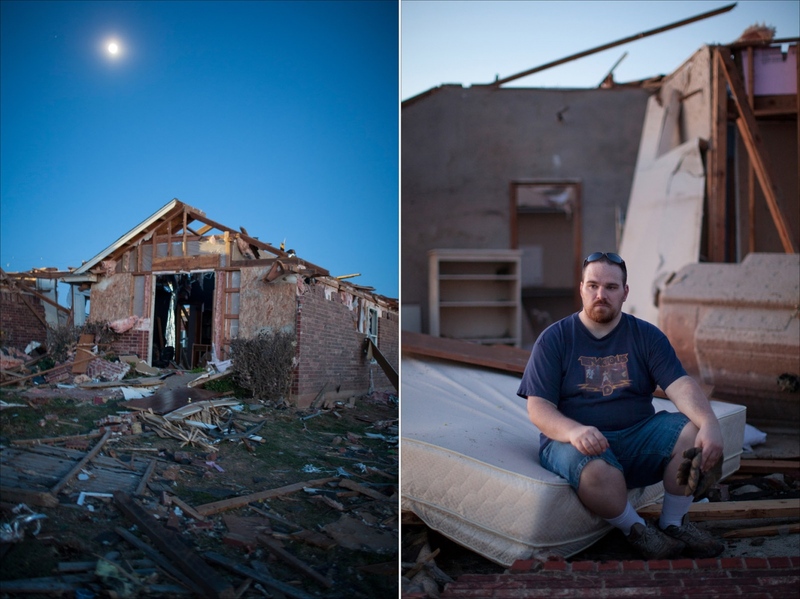 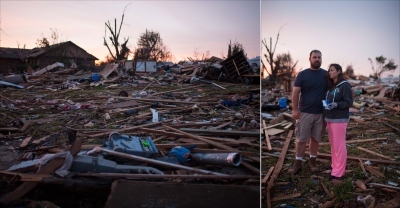 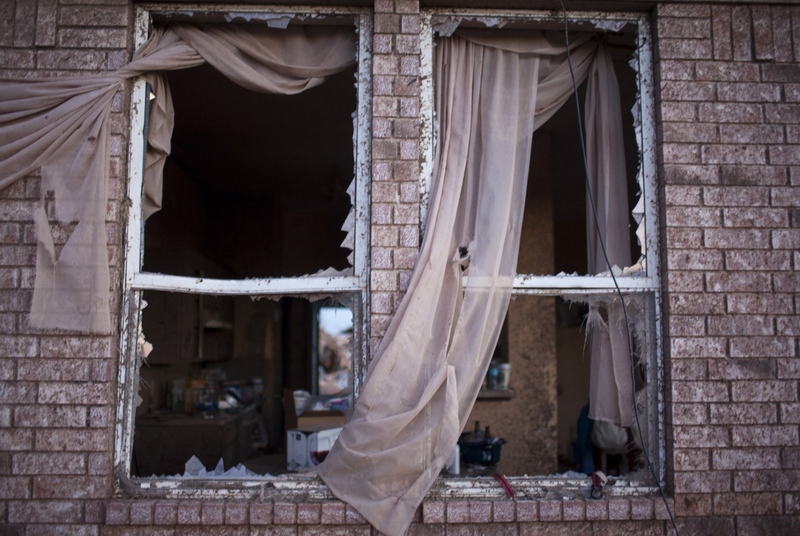 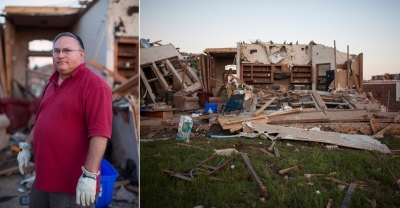 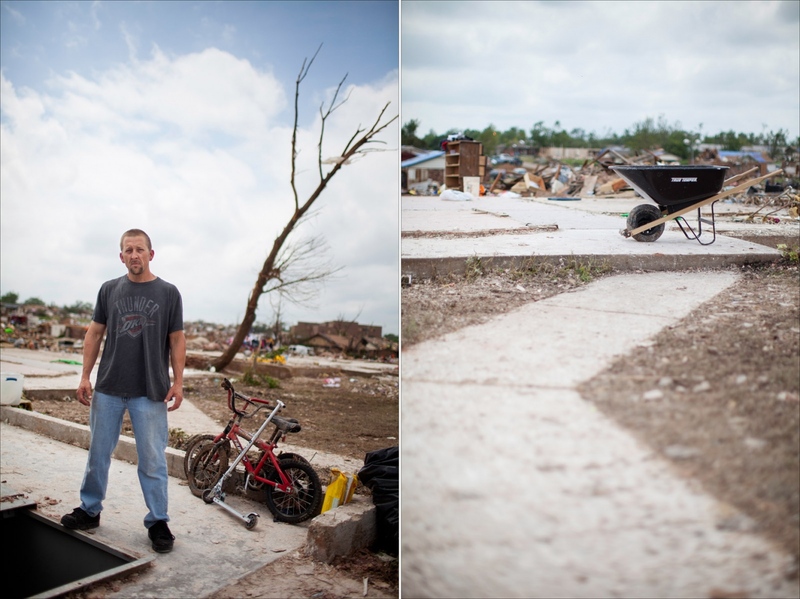 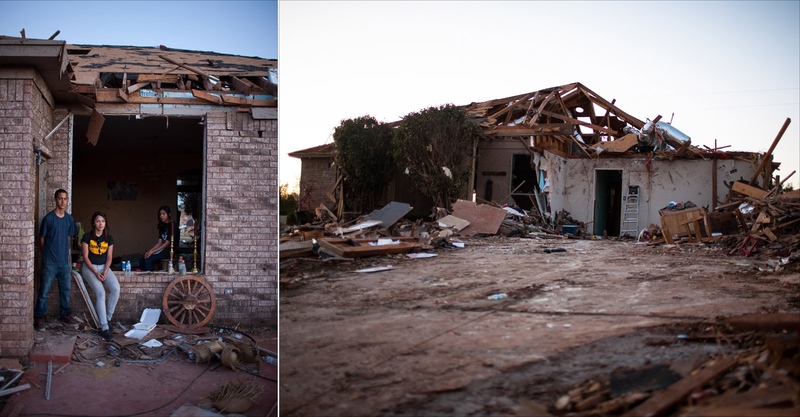 I spent five days photographing alongside reporters from NPR to visually report the devastation and impact the tornado had on the local residents. I was stunned by the sheer force and destruction left behind by the tornado, but also impressed by the resilience of a community. 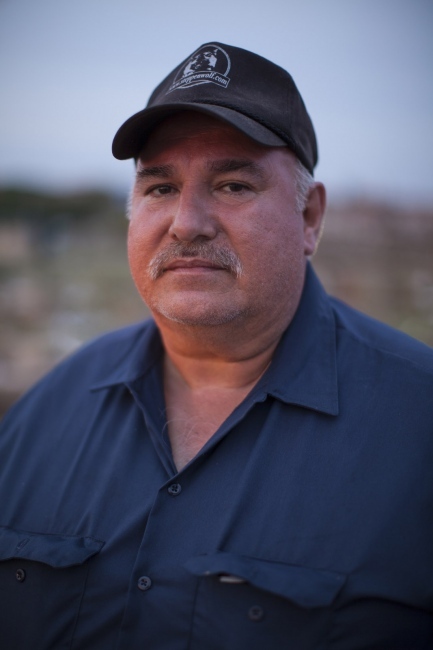 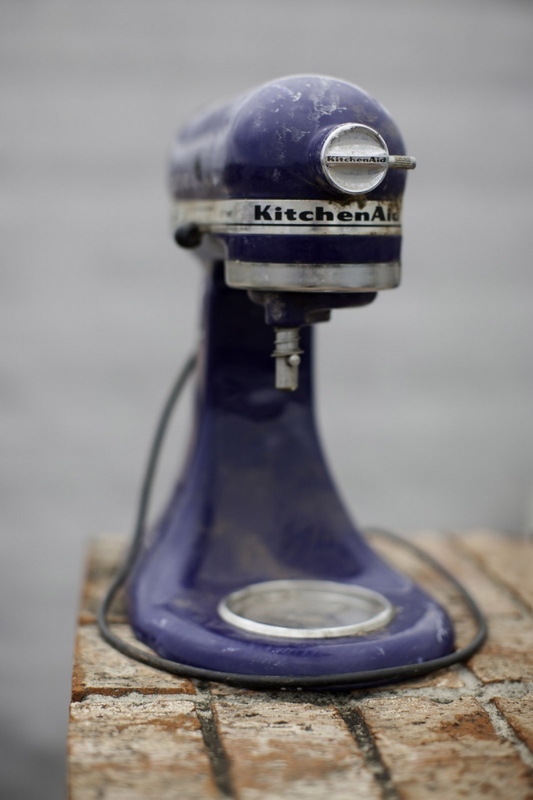 This is a story of loss, but also a portrait of a community that pulled together to find hope amongst the rubble.